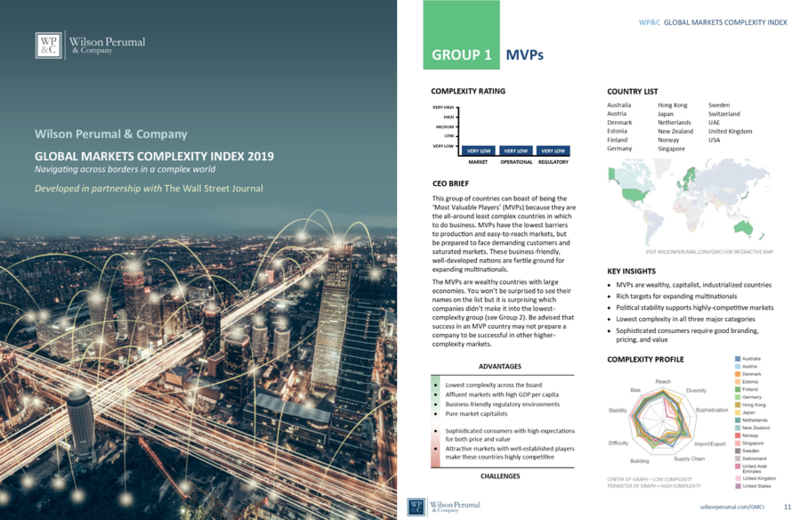 Wilson Perumal & Company (WP&C) is pleased to announce the launch of the 2019 Global Markets Complexity Index (GMCI). Developed in partnership with The Wall Street Journal, the GMCI provides executives and decision makers with a new analytical framework and set of data for identifying and assessing geographic expansion opportunities. The tool and report are available here. 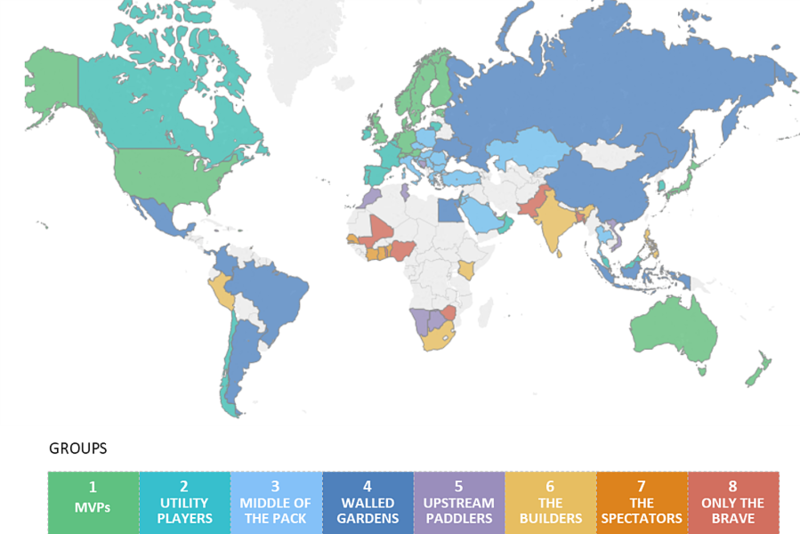 “By dividing countries into eight groups based on the complexity of operating a business there, the new index helps identify which countries have similar operating environments so investors—both corporate and financial—can make more informed decisions on which countries they will be comfortable or capable of operating in,” said Dan Keeler, Frontier Markets Editor at The Wall Street Journal. Read the WSJ's coverage of GMCI here. Leveraging WP&C’s deep understanding of complexity, the GMCI assesses 83 countries across 31 measures of market, operational and regulatory complexity, resulting in eight country groups with distinct complexity profiles. These groups are the crux of the GMCI, informing business leaders of what they may expect when expanding into each country, and which countries share similar complexity proﬁles. Past success in one country may suggest an opportunity in another country in the same group. To download the report and interact with our GMCI tool, visit www.wilsonperumal.com/gmci.